I was in my car on February 15, 2013 when I learned via a Genea-Traveler email from Felicia of Echoes of My Nola Past, Sandra TALIAFERRO had passed. It took my breath away. San and I hadn’t spoken in a long time. Too long really. I didn’t even realize Sandra had been ill. Though the heaviness of her passing followed me for days, I couldn’t help feeling San was finally free. I could see her interviewing the TALIAFERRO and MIDDLEBROOKS Ancestors she’d spent countless hours searching for. I could see her getting to know her daddy, John Lawrence TALIAFERRO and reuniting with her Mama, Lillian MIDDLEBROOKS who passed on September 27, 2009 — San’s birthday. Many don’t know Sandra spent almost 45 years in a wheelchair. In route to student orientation on her first day of college at Clark Atlanta University, Sandra and friends were in a terrible car accident that nearly took her life. In spite of her physical constraints, Sandra rose — in every possible way. The timing stunk! I’d just loss Mama 8/5 and started AAGSAR 8/15. Small gestures of attempting to pay for her I Never Knew My Father domain or rescue research data from her old computer were unsuccessful. The only thing I could do, was re-post Sandra’s archived research work to a new domain. There are 72 posts in all, and they tell us MUCH about who Sandra TALIAFERRO was as a daughter, sister, friend, human and researcher. The TALIAFERRO research is a meticulous body of record for any genealogist with connections to San’s family line. It’s also an EXCELLENT example for the methodical nature of good research — how it should be approached, documented and cited. Without question, Sandra knows how much I love and respect her. We can’t bring her back but we can continue to champion the Ancestor work effort that was her lifeline. We can direct new researchers — connected or not — to the wealth of data and best practices it offers. We can continue working the leads to confirm the cousin connections either our hearts and/or DNA told us are there. That’s how we honor Sandra — rise to whatever challenge is presented, live life without excuses, and be impeccable. Do small things with GREAT ♥. The TALIAFERRO Project. 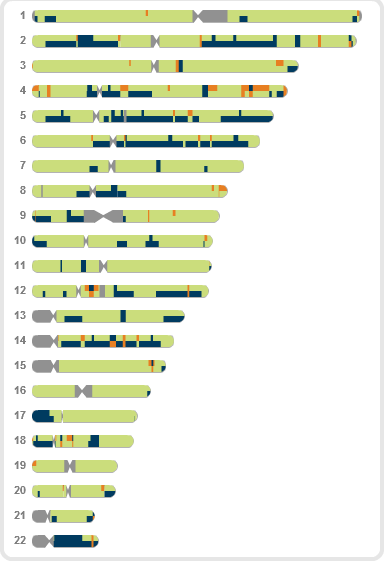 27 October 2011: My 23andMe Results Are In! In late September, I received a free DNA kit from 23andMe in conjunction with the Roots to the Future Project. Last week, I checked the date my sample was received (October 8th) and assumed it would probably be a few more weeks before I received my results. Not!! Last night, I opened my email and there it was; a message from 23andMe stating that my results were back. I was thrilled and quickly logged on to see my results. My maternal haplogroup is L1c1d. According to 23andMe, haplogroup L1c originated about 60,000 years ago most likely in western-central Africa and is extremely common among western pygmy populations such as the Biaka and Bakola. Today, this group is particularly common among the forest-dwelling Pygmies and the Bantu-speaking populations of central Africa. My DNA origins are 80% African, 17% European, and 3% Asian (most likely Native American). Here is my Ancestry Painting. The majority of my DNA, 80%, is African. No surprises there. The 3% percent Asian, although a very small percentage, is interesting. This most likely represents Native American ancestry; from my reading this DNA test does not distinguish between Asian and Native American. My brother and I were just speculating about my results last week. There are stories of some Native American ancestry on my paternal side. We wondered if any of that would be revealed. According to my brother and cousins, our paternal grandmother always talked about being part Native American. Honestly, the photo of her, posted here, looks European, rather than Native American. On the other hand, the photo of her mother, posted here, lends some credibility to the family stories. Or, is it possible that 3% could be “noise”. What the heck is noise??? I am not sure if the 17% European is coming more from my maternal side or if it is from my paternal side. Could it be both? 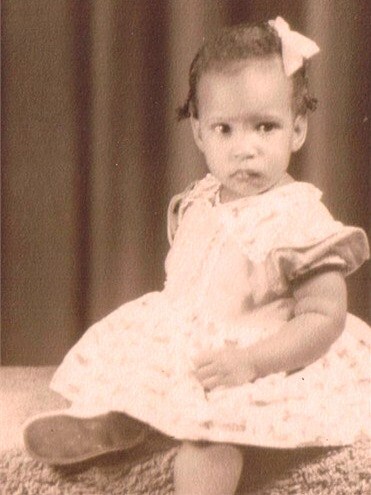 Again, looking at the picture of my paternal grandmother, it definitely could be coming from my father. If I understand correctly, the position of the blue color on the chromosome has something to do with which parent that DNA is coming from. I just don’t know. Someone help me out here – I need a “chromosome reading”!! This was my first DNA test. I am excited about the results even though I don’t fully understand them. I will be doing a lot of reading and research in the days ahead. 03 April 2011: March Madness ~ Two New Cousins and A Slave Owner Identified! March Madness wasn’t just going on in basketball last month. March was a very exciting month for my genealogical research. Ancestor mojo was in full force! First, I was contacted by a new cousin who is related through my maternal line. Esther saw my tree on Ancestry and contacted me through another researcher that we have in common who is also a cousin to Esther and probably to me as well. My maternal great, great grandparents were Albert Middlebrooks and Malinda [?] of Woodbury, Meriwether County, GA. They had a daughter Laura Middlebrooks. Albert and Malinda also had a son, Alexander “Alex” Middlebrooks who was my great grandfather. Laura and Alex were siblings. Laura Middlebrooks married Salis Stinson and they had a daughter Leola Stinson. Leola was Esther’s grandmother. So, Esther and I have the same great, great grandmother. Yes, I said great, great grandmother, not grandparents. Therein is the mystery. Esther’s brother did very extensive research on the family. According to his research, Malinda’s maiden name was Gill. I had assumed that Malinda’s maiden name was Guise because that is the name listed on the death certificate for my great grandfather, Alex Middlebrooks. According to family lore, Malinda was part white (probably by a slave owner) and had a child or children fathered by her Gill slave owner. We don’t know which child or children, but one could have been Laura. There are notes in the research that Malinda would go up to “the house” and say things like “here, take it, it ain’t mine no way” referring to her child who was fathered by the slave owner. Fascinating stuff!! Esther is full of family stories, and our conversations never fail to release another piece of the puzzle. I am anxious to visit her and go through those “six big binders” of information that her brother complied during his 30 years of research. During our first conversation, I told Esther about my 2011 resolution to find a slave owner for my Middlebrooks line. So far, that has been a major brick wall. Recently, I found my great grandfather, Alex Middlebrooks, in the 1880 census for Woodbury, Meriwether County working as a laborer on the farm of R.T. Powell. His name was enumerated as “Elic Middiebrok”. I didn’t tell Esther any of this, thinking it could wait for another time. I guess the ancestors thought differently because……. Later that night Esther called me back and said I have something I want to read to you. She had found it in her brother’s research. Then she read this one sentence… Alex Middlebrooks was a slave on the Powell plantation. I was speechless. Of course, there is much research to come before I can confirm this statement, but for now all I can say is WOW!! A few weeks ago, I was contacted by a lady, Debra, who is a cousin on my paternal side. Debra stumbled upon my blog when she googled to find information on Greene County, GA in preparation for an upcoming family reunion. Debra is responsible for writing up the family history. Reading my blog, she noticed that we had the same surnames in our tree, Brewer and Lawrence, and that my ancestors, like hers, were also from Greensboro, Greene County, GA. After a few emails and a phone conversation we easily made the connection. My grandmother was Fannie Mae Lawrence and her mother was Lessie Brewer. Lessie’s mother was Fannie Mae Brewer. Fannie Mae Brewer also had a son Whit Brewer who had a daughter Hester Brewer. Hester was Debra’s grandmother. So, Debra and I have the same great, great grandmother – Fannie Mae Brewer. We were both thrilled to make this connection and quickly arranged to meet. Debra is just starting her journey into genealogy and her enthusiasm is refreshing. Debra was raised by her grandmother, Hester Brewer, and has breathed new life into my Greene County research, and the Brewer line in particular. A few years ago while researching through some Greene County records at the GA Archives I found court papers concerning a custody battle for a child – Hester Brewer. Along with Hester, the other parties involved were Fannie Brewer and Whit Brewer. My focus was on something else at the time, so I made copies of the papers and filed them away for another day when I could examine them more closely. Of course, I never got back to them and they remained in that file until a few weeks ago when I met with Debra. She was thrilled to receive this piece of history about her grandmother. Debra had heard bits and pieces of the story, but the court papers pulled it all together. What a great story to begin her family history! As Debra and I have discovered, it seems the ancestors have been working their mojo in our family for years through the generations. Follow along….Debra’s grandmother, Hester Brewer, was raised in the household with my grandmother, Fannie Mae Lawrence, whose mother, Lessie Brewer, was Hester’s aunt. Debra has an Aunt Ruth –Hester’s daughter. I have an Aunt Ruth – Fannie Mae’s daughter. Debra’s Aunt Ruth was told that she is named after my Aunt Ruth. It gets better. Follow along….I have a cousin Zelphyr. Debra has a cousin Betty (who would be my cousin as well). Betty has a daughter, Zelphyr. Debra’s cousin Betty named her daughter after someone she worked with whose name was Zelphyr. Betty and this Zelphyr became really good friends, so she named her daughter after that friend. As it turns out, that friend, Zelphyr, is also MY cousin Zelphyr! They were coworkers who became good friends, and never knew they were also cousins. As it turns out….We are all COUSINS!! 22 January 2011: Sepia Saturday ~ Cousins! My cousin Peggy and I connected online in May 2007 through Ancestry.com. According to Ancestry’s relationship calculator, Peggy is my 2nd cousin 1x removed. My maternal great grandmother, Sudie Parks, and Peggy’s grandfather, Johnson Parks, were brother and sister. Peggy and I had an instant connection, and we love exchanging and sharing family information and history. Peggy shared some family photos with me, including this one her. The instant I looked at the photo I had this strange and tingling sensation go through my body. She’s a cutie-pie – no doubt about it! But there was something else…something familiar. How could that be? I had never met Peggy. Although we both have relatives still living in Pike and Meriwether counties here in Georgia our paths had never crossed. But, I just could not shake that feeling – I kept thinking…”this picture looks so familiar”…so familiar. It wasn’t that I had seen the photo before. No, it was just…just…I could not put my finger on it, and I could not shake the feeling. There was just something about that picture. It was driving me crazy. I pulled out one of my photo albums and started looking through the photos. Then, it dawned on me. I finally realized why Peggy’s photo looked familiar. But, I thought to myself I had to be wrong…it must be just my imagination. I had not seen the photo I was looking for in years. My mind and eyes were playing tricks on me; I just thought they were similar. My search took on a new intensity. I knew exactly the picture I was looking for, but where was it??? I had to find that picture. Finally, there it was and that strange tingling feeling returned, but this time it was accompanied by a smile. I scanned the picture and immediately called Peggy and told her I was sending an email with a photo attached. I wanted her to call me as soon as it came through and she had looked at the picture. A few minutes later, Peggy called me screaming OMG!!! We both laughed and went OMG!! This is the photo I sent Peggy. Can you see why we were screaming?? IT’S ME!! 31 December 2010: A Friend of Friends Friday ~ My Genealogy Wish For 2011. Today is Friday, December 31st the last day of 2010. Soon we will begin a new year – 2011. In the New Year, I am looking forward to breaking through some of my many brick walls and wish you much luck and success in breaking down yours. What has presented the most challenges in my past research, and what will mostly likely do so in the future, is identifying the former slave owner of my ancestors or finding documentation to support my theory of a likely slave owner. One of my research goals for 2011 is to identify and document at least one former slave owner of one of my ancestors from either my Taliaferro line (paternal) or my Middlebrooks line (maternal). With that research goal in mind, I decided that my last post for 2010 would not be the typical list of genealogy “resolutions” for the New Year. Instead, I decided to repost my favorite post from 2010 – A Friend of Friends: Lessons From The Underground Railroad. I believe we saw more sharing and mutual respect among researchers in 2010. My wish is that the spirit and intent conveyed in the A Friend of Friends post carries over and continues to grow in 2011. One night during the holidays I watched one of my favorite movies, Roots: The Gift. The movie stars LeVar Burton and Louis Gossett, Jr., in their roles as Kunta Kinte and Fiddler from the television series Roots. In this movie, Kunta and Fiddler accompany their owner to another plantation at Christmas time for a party, and become involved in a plan to help some runaway slaves escape via the Underground Railroad to freedom. A simple, yet powerful story. There are many messages and lessons to be learned from Roots: The Gift. In one of my favorite scenes, Fiddler and Kunta are helping the group of runaway slaves get to the river where they are to meet a boat that will take them further on their journey to freedom. Along the way they make a stop to pick up other “passengers” on the Underground Railroad. When they come to a farmhouse, Kunta approaches and knocks. The man asks…”who goes”? Kunta responds “Friend of Friends”…in acknowledgment, the man replies “Friend of Friends”. A group of “passengers” exit the house. Kunta, Fiddler, and the group continue their journey. This year, I was particularly moved by the Underground Railroad scene, and even more so by the phrase uttered by Kunta- Friend of Friends. The phrase, and variations of it, was used along the Underground Railroad as a password or signal to those assisting runaway slaves on their journey North…to freedom. The traditional response to the “who goes there” password is said to have been “A Friend of a Friend”. A Friend of Friends. Say it… A Friend of Friends, again…A Friend of Friends. It evokes such a comforting, welcoming feeling. A feeling of trust, of sharing, of caring, of kindness, and of friendship, however brief. At the same time, it is transient…adjusting and changing with the circumstances. I’m A Friend of Friends….you don’t know me, but I require assistance…I need your help, and guidance…some information to aid me on my journey…then I’ll be moving on…to the next stop along the way. The phrase, and the underlying concept, seems particularly appropriate and relevant for those of us in the genealogy community; aren’t we all on some level really just A Friend of Friends? Strangers helping strangers. Friends of friends with a common bond that ties us all together….the desire to know our ancestors, and to tell their stories. A common goal, with different methods, different paths that cross and intersect along the journey. As we travel this road to uncovering our ancestors and their stories we should all embrace the concept…we should be A Friend of Friends. Don’t be afraid or reluctant to share, to care, to guide, or to assist your fellow researcher along their journey. As an African American researcher my task is two-fold; I research my family, but inevitably I must also research the family of my ancestor’s slave holders if I want to know more about my roots. Often we must seek information (assistance) from those that we do not know to aid us on our journey. It is an unavoidable truth – the descendants of our ancestor’s slave holding families may hold the key to our enslaved ancestor’s past. Slavery is an ugly truth of our shared history. I am not angry with you because your ancestor held my ancestor as a slave; don’t be angry with me because I seek those records that may shed more light on the lives of my people, and help me to tell their story more completely. Some who were members of slave holding families assisted passengers along the Underground Railroad. I challenge you to be A Friend of Friends. We, as researchers of our African American ancestry, must also remember to share, to care, to guide, and to assist our fellow researchers; reach out, take time….no, make time. Can you request and expect the assistance of others, yet not expect the same of yourself? I urge you to stop being selfish with your research. Don’t miss out on a connection or a long lost cousin because of fear or uncertainty. Post It, Blog It, Share It, and Publish It. Many who were passengers along the Underground Railroad returned to assist others on their journey to freedom. I challenge you to be A Friend of Friends. True genealogists know all of this, and understand the necessity of it. Indeed, the concept is nothing new in the genealogy community. Random, and not so random, acts of kindness occur every day. So, consider this a wake-up call, my challenge to you. When a fellow researcher comes calling…for info…for guidance…for knowledge…for support – be there – to share, to care, to guide, and to assist. My maternal grandmother was Julia Ann GATES. She was born in Woodbury, Meriwether, GA, to Jack GATES and Georgia Ann THOMPSON, on 30 April 1894. 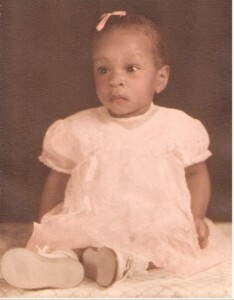 She died on 4 January 1970, in Warm Springs, Meriwether, GA (a few days after the death of my father). It was strange to lose two people of such close blood kinship to me yet I never knew one, and had only a distant relationship with the other. Initially, I thought I’d have very little to write about for this 2nd edition of the CoAAG – Grandma’s Hand; Grandmothers and Their Influence On The Family. I’m the host, and I chose the theme, yet I had no memories to pull from; no words of wisdom or gems to live by from my grandmother. I did not know my grandmother; not in the very personal way that you think of a grandmother/ granddaughter relationship. Honestly, I am deeply saddened by that fact. I thought, “What in the world can I write about? What can I say?” I thought long, and I thought hard. Then I waited, and waited for the memories to come. As a good friend had advised….I waited for my grandmother to speak to me, to show me how to tell her story. 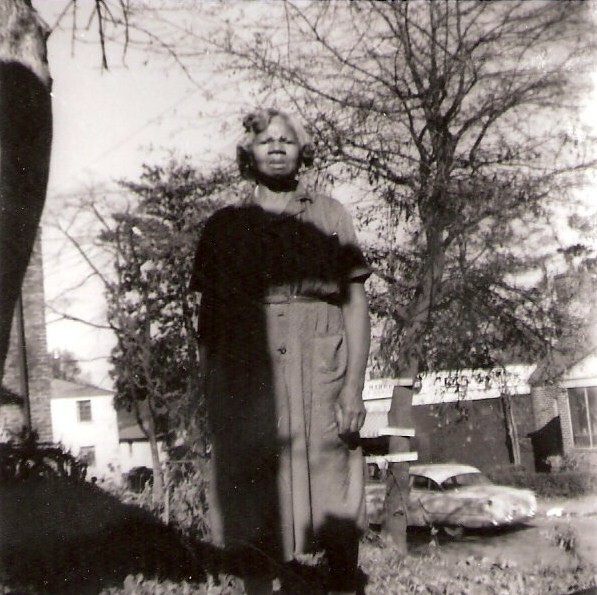 Then I realized I did have memories, very vivid memories of several trips down to Woodbury, GA to visit my grandmother. In my memories of those visits are the memories of my grandmother. So, travel with me to Woodbury, GA and meet my grandmother Julia Ann GATES…the way I remember her. When I was young, my mom and I would take the bus from Atlanta to Woodbury to visit my grandmother. Not often. In fact, I only remember doing that two times. After we got off the bus in town, we had to walk the rest of the way. I remember on the walk to my grandmother’s house we would pass a big white house that sat way back from the road on the left. That is where my grandmother worked as a cook. We would stop there first, and go to the back door to the kitchen where my grandmother was cooking. We never stayed long, just a brief stop, and I always wondered why we had to hurry. I was recently told by a cousin that the “big white house” as I called it was the hotel. The briefness of the visit makes sense now, but it didn’t then. It was not a long walk to my grandmother’s house, but not a short one either. After we crossed the railroad tracks, the road turned to dirt; red dirt, Georgia red clay my mom would say. The next landmark I remember is the old white church on the right. My mother and her brothers went to school in that church. Turn right at the church; that’s what my young mind would say as we walked along; for some reason I was always afraid we would get lost. We walked; sometimes fast, sometimes slow, but always with a sense of purpose…heading to my grandmother’s house. As I think about it now, there was no feeling of happiness or excitement as you would expect on a visit to your grandmother’s. Once inside, I felt warm and comfortable, a little scared, but safe. Was that the comfort of a grandmother? The feeling I long for today, but can’t quite grasp. There was a bedroom to the right with a beautiful pink bedspread that had lots of flowers; it was shiny, and felt like silk. (I think my grandmother gave me that bedspread, and I still have it somewhere; got to find it). I remember pictures, and other stuff…I wonder what happened to all of it. To the left was another bigger room with two beds; one along the wall to the right as you entered the door, and another bigger one across from that by the window. That’s where we all slept; in that room with the big fireplace, and lamps that used kerosene. Seems there was also a lot of stuff in that room too; pictures, papers maybe, little things collected during a life of living life. What happened to all my grandmother’s stuff after she died? I wish I had some of it to help me remember her. The room had an iron railed headboard, and seems I just sank right down in the middle of the bed because it was “a feather mattress” my grandma said. You could feel the memories in that room; decades of my family history. My mom said that once there was a tornado and after it was over the roof was gone, and her brother’s head was trapped between two of those rails in that headboard. (That would be my uncle – Alexander “AJ” MIDDLEBROOKS.) That was sooooo funny to me, and we laughed and laughed…me, my mom, and my grandma. But, after that I was scared to sleep in that bed. Just in case there was another tornado, you understand, right? But, I finally did fall asleep; sunk down in the middle of the feather mattress with my mom and grandma close by, the warmth of the fire from the fireplace, and the kerosene lamp that bathed the room in a soft golden glow. The kitchen had iron stove, a table, and another bed along the back near the door. There was always food, and the stove was warm from cooking. I woke up to the smell of country ham and fresh biscuits with homemade preserves for breakfast. It must have been my grandma who did all that…taking care of me and my mama on our visit just like grandmothers do. My grandmother sometimes brought food home from the hotel but, if not she always made me fried chicken, biscuits and apple pie. I never actually saw her cooking it, but it was always there still warm and fresh. In the back down a long path was an outhouse. Oh boy, do I remember that. Now, thinking back I know this was the main reason I was so apprehensive on these visits. There was no way I could hold “it” till we got back to Atlanta, but also nooooooo way I was going out there. So my grandmother made “other arrangements” for me. I will always remember that she told my mom, “Lillian, that girl don’t have to go out there if she don’t want to.” AND I DID NOT!! Every time I think about that I laugh and laugh; it’s pretty funny now, but it sure wasn’t funny then. Yes, I remember all those things about my grandmother; they are the things that made her who she was and is to me. I remember that my grandmother came home late, and left out early the next morning going back to work. I remember her being tired and talking about her legs aching, and not being able to do that work much longer. I remember her being sick and in the hospital; diabetes and something about her legs…bad veins and blood clots. I remember my mama going to her funeral without me. I remember feeling sad, but not shedding a tear. I remember all these “things” about my grandmother, but I don’t remember feeling her in my heart…not until today. 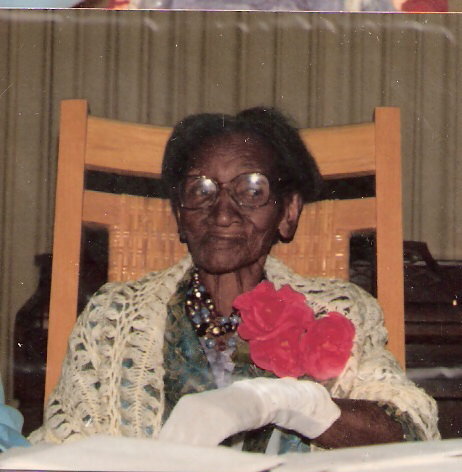 This is a photo of my maternal great aunt Bessie at her 100th birthday party in 1980 in Atlanta.